Pahela Baishakh, the first day of Bangla calendar, was celebrated across the country on Sunday amid traditional festivities and enthusiasm, reports UNB. 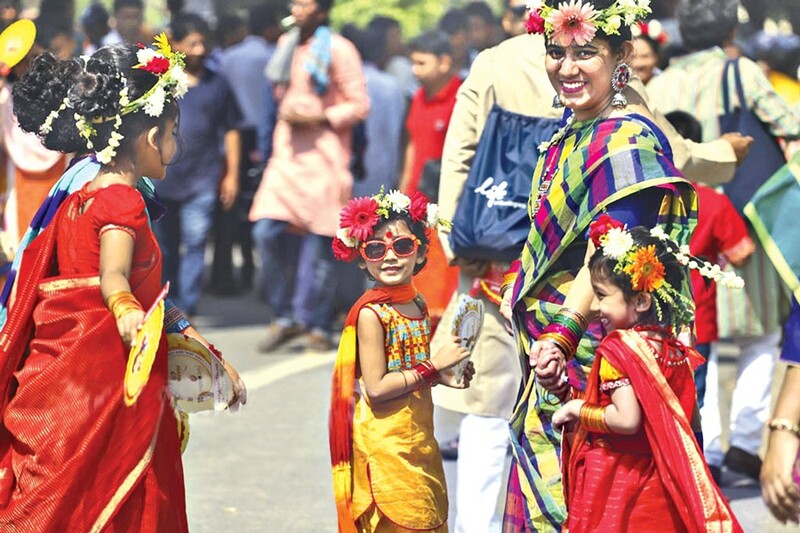 People from all walks of life thronged different popular and historic spots in the capital and elsewhere across the country to welcome the Bangla New Year, 1426 with new hopes and aspirations for a better, peaceful year. Traders and shopkeepers across the country opened 'Halkhata' (new book of accounts) and entertained customers and visitors with sweets. Students of the Faculty of Fine Arts of Dhaka University brought out a Mangal Shobhajatra (procession of good wishes)from in front of the institute in the morning as part of the carnival.